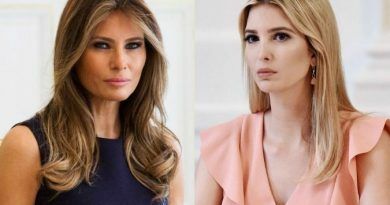 She is beautiful, elegant, smart, speaks 5 languages and is proud to be an American. Yes, you got it right…we are talking about First Lady Melania Trump. 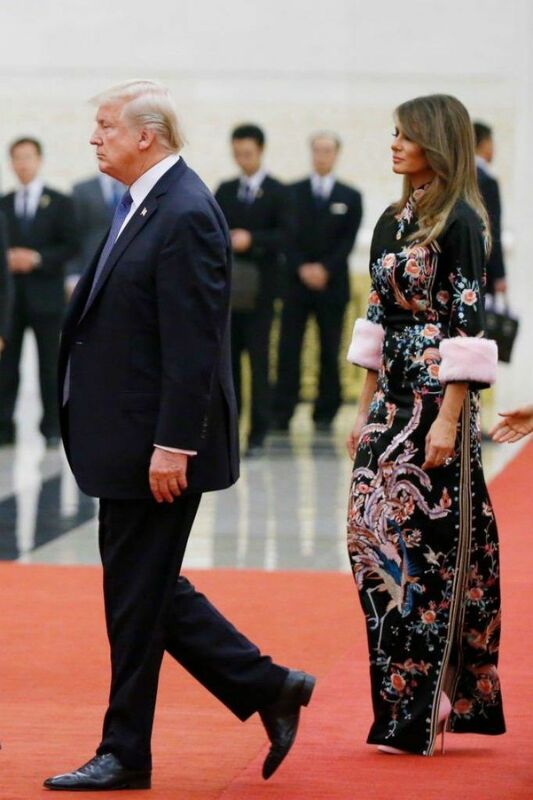 Melania Trump always looks gorgeous and she is always well dressed. 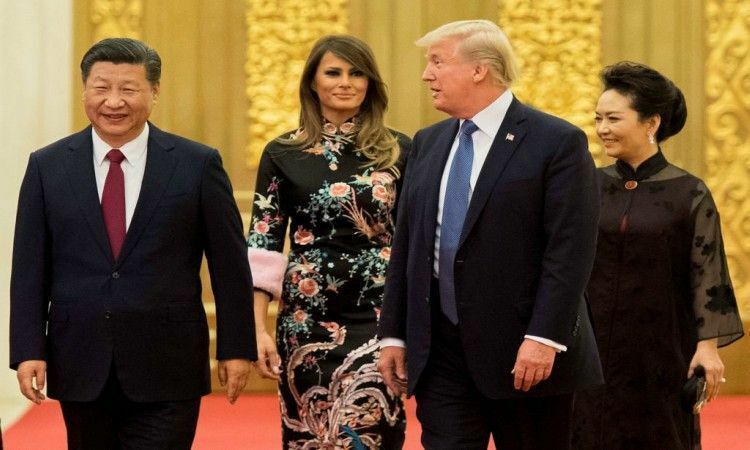 President Trump and his beautiful wife Melania Trump attended a State Dinner in Beijing, China on Thursday night and the outfit she wore at Chinese state dinner caught everyone’s attention. 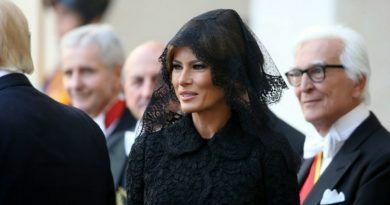 We were not surprised that Melania dazzled everyone with her grace and elegance, but we were amazed by her confirmation of her impeccable style. Melania was the picture of style in a gorgeous custom Dolce & Gabbana gown that made liberals drooling. 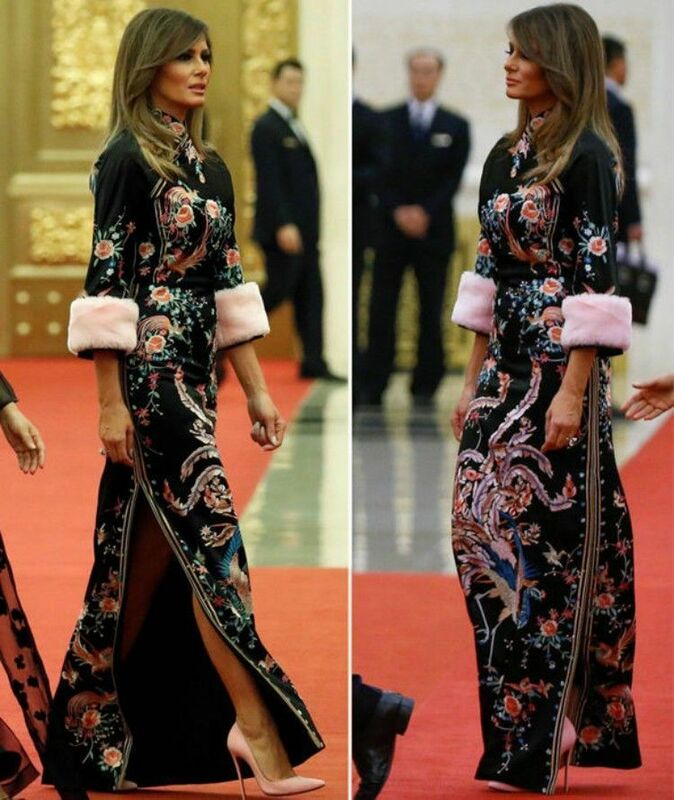 The traditional oriental dress was a perfect choice for the first lady’s final night in China. 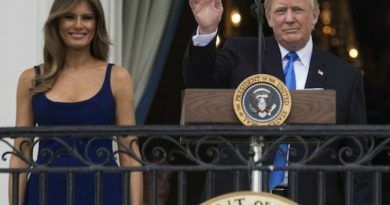 The black ensemble came all the way up to the neck and featured slits along the legs, elaborate floral designs and pink fur cuffs on the sleeves which Melania matched with her high heels. Melania is so thoughtful of how her attire represents the USA. Her dresses both in Japan and S. Korea have a trait of these 2 countries traditional dress and now in China, this gorgeous dress has a taste of traditional Chinese dress with that collar and the beautiful embroidery of a Phoenix and flowers. 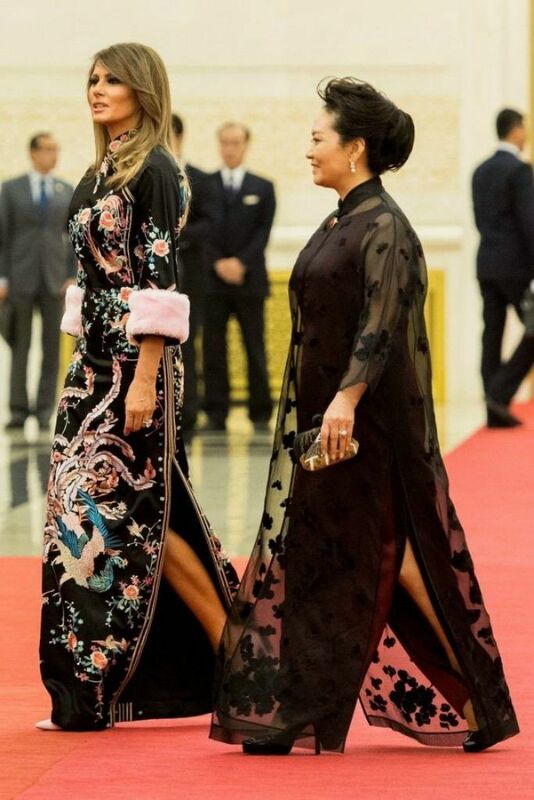 Always elegant and classy, thank you FLOTUS for representing the USA at the same time showing respect to the host country. Melania Trump may very well be the best first lady that our nation has ever seen. She is such a valuable asset to our president. 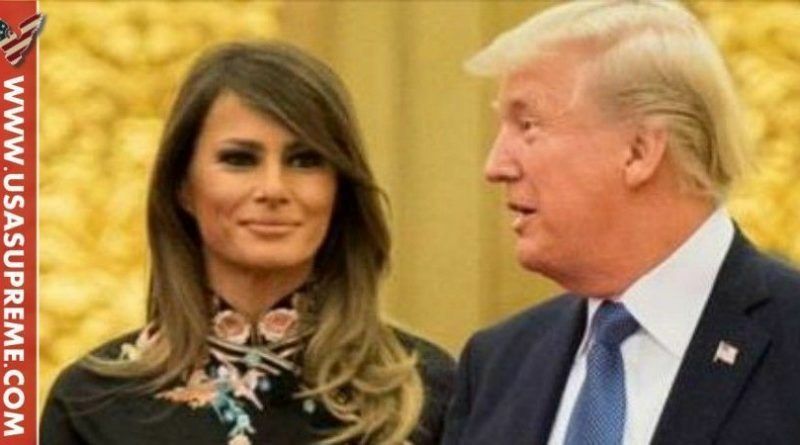 We are so fortunate to have First Lady Melania representing our country. Melania is the explicit definition of class, elegance, and grace. She definitely is a role model for young girls in America! She is a beautiful, exquisite First Lady. Stunning and a glamour you Americans are soooo lucky, accept her and give her respect this is from an Aussie! !